BUCHAREST (Reuters) – Romania’s lower house of parliament approved changes to the criminal codes on Wednesday that could shut down several ongoing high-level graft cases, but opposition politicians plan to challenge the bills at the Constitutional Court. The bills are the latest in a series of legal and personnel changes made by the ruling Social Democrats since they came to power in 2017 that are seen as threats to judicial independence and have raised concerns in the European Union, the U.S. State Department and among thousands of Romanian magistrates. One of the changes approved on Wednesday shortens the statute of limitations covering some offences, a move that would automatically shut down a number of ongoing cases. Other amendments include lower sentences for some offences and decriminalizing negligence in the workplace. “Romania today becomes a state in which criminals are basically in a legal haven, encouraged … by changes that overall ease and simplify the impact of the law on criminals,” opposition Save Romania Union leader Dan Barna told reporters. Barna’s party and the main opposition Liberals both said they would challenge the changes at the Constitutional Court. Social Democrat lawmakers initially overhauled Romania’s criminal codes last year. The European Commission said the proposed changes were a reversal of a decade of democratic and market reforms in the former communist country. The Constitutional Court struck down many of the changes following challenges by opposition lawmakers. On Wednesday, the ruling coalition approved the codes after removing the articles already struck down by the Court. Prosecutors have secured a spate of convictions in recent years against lawmakers, ministers and mayors, including Social Democrat leader Liviu Dragnea. Their investigations have exposed conflicts of interest, abuse of power, fraud and awarding of state contracts in exchange for bribes. Dragnea, who has a suspended jail term in a vote-rigging case and an ongoing appeal against a second conviction for inciting others to commit abuse of office, could be among the politicians to benefit from the changes. The Social Democrats have said their legal initiatives are aimed at aligning legislation with EU norms and address abuses allegedly committed by magistrates. Transparency International ranks Romania, which currently holds the EU’s rotating six-month presidency, among the bloc’s most corrupt states. It is one of the most important retirement documents you will ever receive – but fewer Americans are reviewing their Social Security benefit statement nowadays due to cost-cutting and a government push to online services that is falling short. 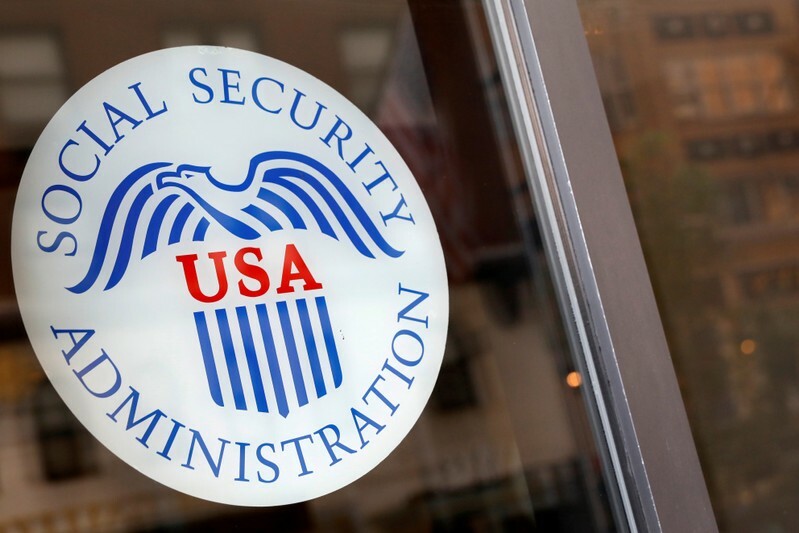 Until about a decade ago, all workers eligible for Social Security received a paper statement in the mail that provided useful projections of their benefits at various ages, along with reminders on the availability of disability benefits and Medicare enrollment information. But the Social Security Administration (SSA) decided in 2010 to save money by eliminating most mailings of benefit statements. Instead, we would all be encouraged to obtain this information online. It is now abundantly clear that this is not working out. The number of workers accessing their statements online has been just a fraction of those who once were reached by paper statements. And the cost-benefit tradeoff is poor. Forty-two million Americans have created online accounts with the SSA since they were first offered seven years ago, the agency says, compared with the 155 million paper statements that were mailed in 2010, before the cost-cutting began. Meanwhile, the number of online account-holders who accessed their statements fell dramatically in fiscal 2018, from 96 percent to 43 percent, according to a report issued in February by the SSA’s Office of the Inspector General (OIG). The report does not speculate on reasons for the fall-off, and the SSA declined to offer its own analysis. “We’ll leave the hypothesizing to others,” said Mark Hinkle, acting press officer. If you have an online account with the SSA, you will receive an email message three months before your birthday reminding you to review your statement. But the process of logging on can be challenging, partly due to security protections aimed at preventing identity theft and fraud. The security is necessary, but the setup process requires users to go through multiple layers of authentication to prove identity. Meanwhile, the level of comfort with online technology among older people lags the general population, according to a 2017 study by the Pew Research Center. For example, 51 percent of adults aged 65 or older have home broadband, compared with 73 percent of all adults. 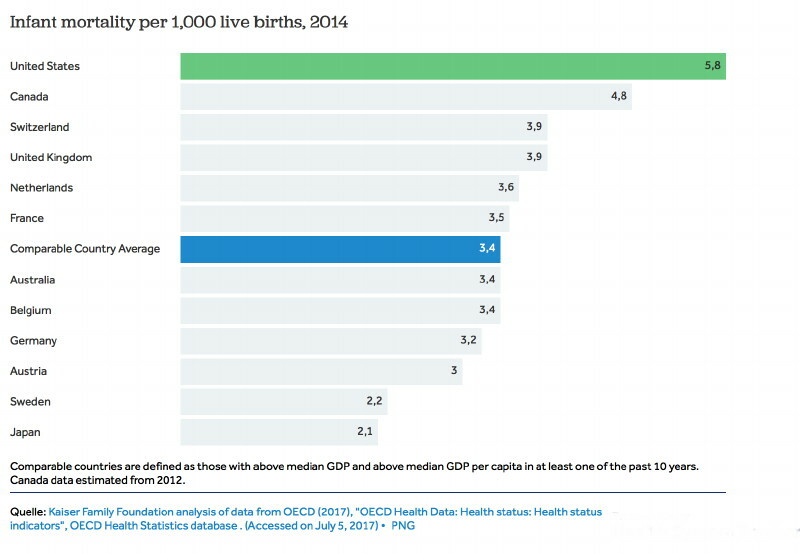 “We’ve seen the gaps close somewhat, but for the most part the differences haven’t changed much over the past five or six years,” said Monica Anderson, a senior researcher with Pew. The SSA’s shift to online accounts is part of a broader agency strategy to handle most of its business with the public online by 2025. Yet the statement adoption rates underscore the problem with that strategy. Social Security is a near-universal program, and that means the agency serves many people who are less tech-savvy. Differences in tech adoption also vary quite a bit by income, education levels and race. Eighty-seven percent of seniors living in households earning more than $75,000 annually told Pew they have home broadband, compared with just 27 percent of seniors whose annual household income is below $30,000. But the relatively low engagement with statements also might be due to human behavior. “I logged on and set it up the first year it was offered,” said Kathleen Romig, senior policy analyst at the Center on Budget and Policy Priorities, a leading research and policy expert on Social Security. Currently, the only people receiving paper statements by mail are those who are over age 60, have not claimed benefits and do not have an online account. That was roughly 13 million people in fiscal 2017, according to the OIG report. How much does the agency save by shifting to online accounts? About $46 million last year, according to the OIG report. That sounds like big money, but it is not significant in the context of the SSA’s overall budget, which is $12.9 billion in fiscal 2019. For fiscal 2020, the agency has requested a budget of $13.3 billion – a 3.3 percent increase. Notably, the separate budget request from the White House for the agency was to keep the budget nearly flat. 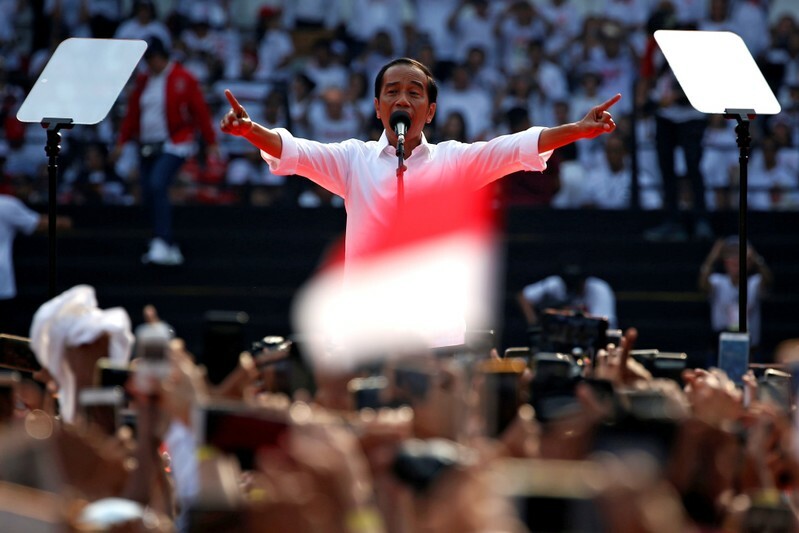 JAKARTA (Reuters) – Indonesia’s chief security minister said on Wednesday accusations that the government and security forces conspired with election agencies to conduct systematic fraud during last week’s polls are “baseless” and threatened national security. President Joko Widodo declared victory after unofficial results from private pollsters gave him about 55 percent of the popular vote. His challenger, former general Prabowo Subianto, has complained of widespread cheating and insists he won. The “quick count” of vote samples by reputable pollsters has been accurate in previous elections, though the official result will not be announced until May 22. In 2014, Prabowo had also claimed victory on election day, before contesting the results at the Constitutional Court, which confirmed Widodo’s win. This year Prabowo’s campaign has said it found discrepancies in the voter list and alleged fraud in areas like East Java, claiming officials punched ballots in favor of Widodo. Social media has also been awash with conspiracy theories. “The accusations are tendentious and inconsequential, as well as slanderous, incorrect and baseless. They are directed at delegitimizing the government and election organizers,” Chief Security Minister Wiranto said at a news conference. The election commission and election supervisory agency were independent bodies with commissioners who were voted into their positions by parliament, he said. “With this explanation, I hope that the people do not believe misleading news, or moreover are provoked to carry out activities that could disrupt peace and national security,” Wiranto said. The 2019 vote, which was the biggest single-day election in the world, had been conducted peacefully and in a transparent manner, with many parties monitoring the process including foreign observers, he said. Wiranto paid tribute to the election officials and security personnel on duty during last Wednesday’s ballot, adding that 139 election staff had died of exhaustion while organizing the votes. The Herculean challenge of holding simultaneous presidential and parliamentary votes this year has triggered calls for the polls to be held at different times and to use more technology. According to the election commission’s website, Widodo on Wednesday afternoon had 55.74 percent of the vote and Prabowo 44.26 percent, based on votes tallied at 236,975 polling stations out of 813,350 across Indonesia. Political analysts have said the size of Widodo’s lead undermined the opposition’s charge that the election was stolen, but they added that Islamist supporters of Prabowo could still hit the streets to dispute the results. Prabowo’s campaign has said it could rely on “people power” if its complaints were not addressed. Media reports have said thousands of extra police have been deployed in the capital Jakarta to ensure security. National Police Spokesman Dedi Prasetyo declined to comment on the size of the deployment, but said their job was “to maintain security and order at every stage of the election”. 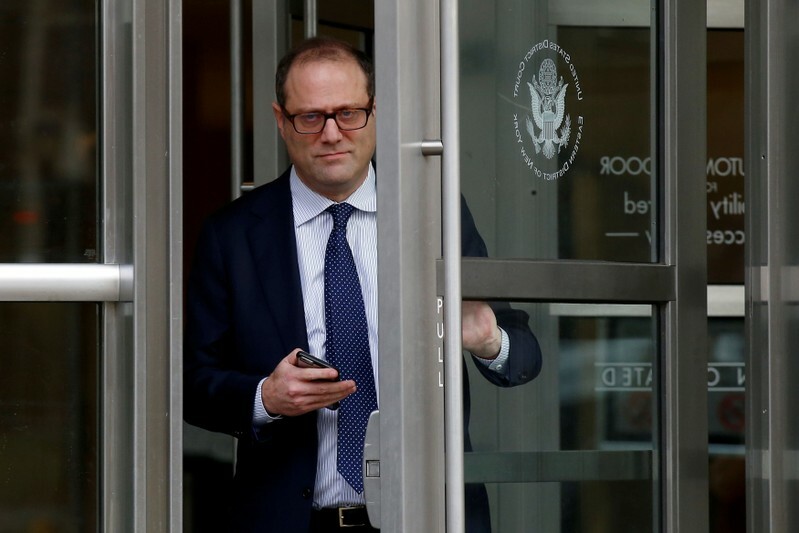 NEW YORK (Reuters) – Investors in the defunct billion-dollar hedge fund firm Platinum Partners had ample notice they might not get their money back, a lawyer for Platinum founder Mark Nordlicht told jurors on Tuesday, urging them to acquit his client of criminal fraud charges. In his opening statement in Brooklyn federal court, lawyer Jose Baez said Nordlicht never defrauded investors, who included himself and his own family. “This case is a fraud,” Baez said of the criminal prosecution, which began more than two years ago with the December 2016 arrest of Nordlicht and other Platinum executives. The trial began early Tuesday afternoon with an opening statement from Assistant U.S. Attorney Patrick Hein. He told jurors that Nordlicht and his co-defendants, Platinum’s co-chief investment officer David Levy and its Chief Financial Officer Joseph SanFilippo, bilked investors out of “millions and millions of dollars” in two different schemes. In one scheme, Hein said Platinum overvalued the often-illiquid assets of its flagship hedge fund, reported false annualized returns topping 17 percent and selectively paid out cash to some investors over others. In the second scheme, Nordlicht and Levy defrauded bondholders in Black Elk, an oil exploration company Platinum owned, by diverting money from asset sales to Platinum ahead of Black Elk’s 2015 bankruptcy, Hein said. Baez countered by showing jurors numerous examples of documents given to investors warning that the investments were risky, that Platinum’s investments were not necessarily liquid and that redemptions of cash were at Nordlicht’s discretion. “The warnings and the notices to these investors are everywhere,” he said. Baez said Nordlicht and the other defendants believed they could recover from a liquidity crunch in 2014 and 2015. He said they ultimately failed because of “leaks” to media about the federal investigation of Platinum, and that there could be something “sinister” behind those leaks. That drew a sharp rebuke from U.S. District Judge Brian Cogan after the jury left for a break. Cogan had previously ruled that defense lawyers could not suggest to the jury that the government engaged in misconduct. “Do you want to be the guy whose representations I can’t really trust?” the judge asked. A lawyer for SanFilippo is expected to deliver his opening statement on Wednesday. ALGIERS (Reuters) – Algeria’s interim president has sacked Abdelmoumene Ould Kaddour as the chief executive of state energy company Sonatrach, state TV said on Tuesday, creating uncertainty for investors who had started to return to the oil and gas producer. The interim president, Abdelkader Bensalah, appointed Sonatrach’s head of production and exploration, Rachid Hachichi, to replace Kaddour, state TV reported. The move casts doubts on whether deals Sonatrach had been working on will go ahead, such as plans to set up a trading joint venture with foreign firms. Kaddour had been close to former President Abdelaziz Bouteflika, who had put him in charge of overhauling Sonatrach in March 2017 after years of management upheaval, fraud scandals and red tape had deterred foreign investors. He is the latest departure of top officials and business leaders who had been close to Bouteflika, who stepped down three weeks ago after mass protests calling for a break with the ruling elite. Hachichi, the new CEO, had been promoted by Kaddour. Hachichi, 55, has spent most of his career at Sonatrach in the exploration and production business. Analysts said Kaddour paid for his close ties to Bouteflika, not because of the strategy he implemented, which was about to start giving some results. The North African oil giant is an important source of energy for European states trying to reduce dependence on Russia and it also funds a large part of Algeria’s budget. Kaddour managed to resolve a number of disputes with fellow oil majors, expanding ties with several companies. Last year, he shifted the focus on petrochemical deals to reduce the North African country’s fuel imports after buying Exxon Mobil’s Augusta refinery in Sicily, Italy. 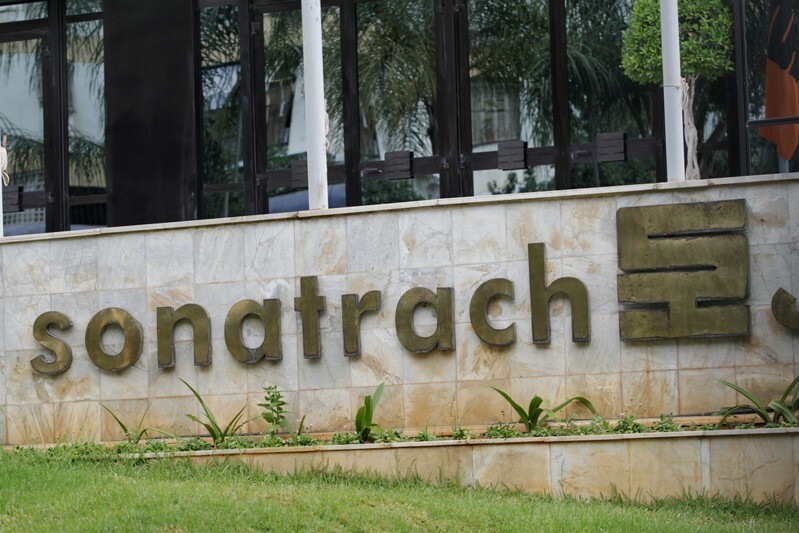 Sonatrach also last year signed a $1.5 billion deal with France’s Total SA to build a polypropylene plant in Algeria. Algeria’s oil output is estimated at around 1 million barrels per day, and it produces 135 billion cubic meters of gas per year, according to Sonatrach’s figures. In March industry sources said talks between Exxon Mobil Corp and Algeria to develop a natural gas field in the North African country had stalled because of unrest that broke out on Feb. 22. Mass protests have continued since Boutefliak’s departure as protesters have called for the removal of the elite that has governed Algeria since independence from France in 1962, and the prosecution of people they see as corrupt. In the United States, many legislators and public health officials are busy trying to make vaccines de facto compulsory—either by removing parental/personal choice given by existing vaccine exemptions or by imposing undue quarantines and fines on those who do not comply with the Centers for Disease Control and Prevention’s (CDC’s) vaccine edicts. Alex exposes the globalist agenda to use government agencies to cover up their crimes against the population. Japan also banned the MMR vaccine in the same time frame, due to thousands of serious injuries over a four-year period—producing an injury rate of one in 900 children that was “over 2,000 times higher than the expected rate.” It initially offered separate measles and rubella vaccines following its abandonment of the MMR vaccine; Japan now recommends a combined measles-rubella (MR) vaccine for routine use but still shuns the MMR. The mumps vaccine is in the “voluntary” category. Merck, the MMR vaccine’s manufacturer, is in court over MMR-related fraud. Whistleblowers allege the pharmaceutical giant rigged its efficacy data for the vaccine’s mumps component to ensure its continued market monopoly. The whistleblower evidence has given rise to two separate court cases. 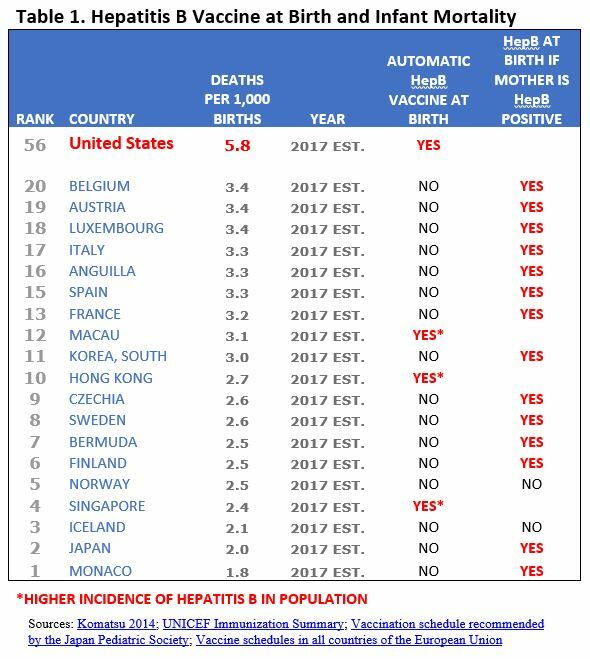 In addition, a CDC whistleblower has alleged the MMR vaccine increases autism risks in some children. Others have reported that the potential risk of permanent injury from the MMR vaccine dwarfs the risks of getting measles. The viewpoints expressed here do not necessarily represent those of Infowars. Alex Jones breaks down how vaccines are used to trigger deadly amounts of fluoride and glyphosate already present inside your body, from tap water and agricultural produce, and weaken the blood brain barrier’s blockade of these killer chemicals. (Reuters) – General Electric Co on Tuesday put the remnants of its WMC Mortgage unit into bankruptcy, 11 days after paying a $1.5 billion U.S. fine over defective subprime mortgages issued by WMC before the 2008 financial crisis. The Chapter 11 filing affords “finality” for WMC, given its limited cash –$175,000– and support from GE, and the threat of further claims, WMC Chief Executive Mark Asdourian said in a filing with the U.S. bankruptcy court in Wilmington, Delaware. WMC was bought by General Electric’s GE Capital unit in 2004, and originated more than $65 billion of mortgage loans from 2005 to 2007. It halted originations in 2007 because of the collapse of the U.S. housing and financial markets. WMC sold most of its assets that December to DLJ Capital. 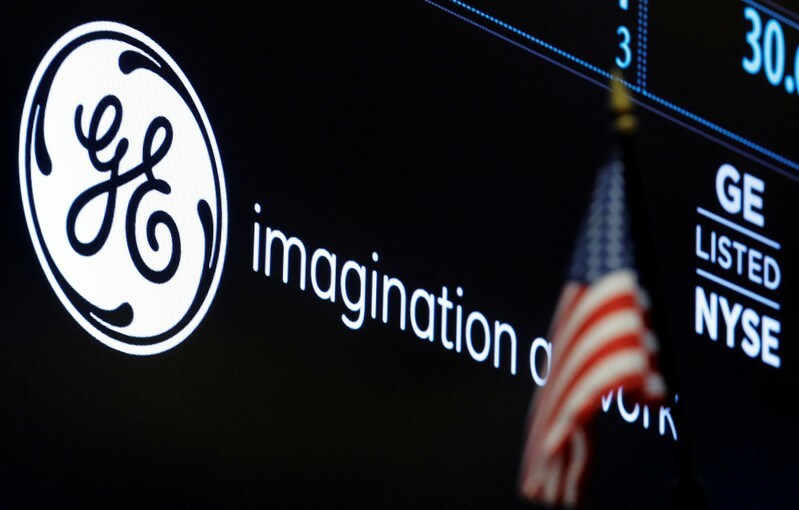 Tuesday’s filing is part of GE’s effort to address liabilities incurred through many years of expansion under prior management, while improving profitability and cash flow. WMC said the bankruptcy would help it complete a $198 million settlement over its packaging in 2006 of 5,000 mortgage loans into securities sold to investors. It said that would resolve the last of 14 lawsuits it faced over residential mortgage-backed securities, following $870 million of settlements of the other 13 lawsuits. The $1.5 billion civil settlement on April 12 resolved U.S. Department of Justice claims that GE concealed the poor quality of WMC’s loans and WMC’s lax fraud controls. GE did not admit wrongdoing. The case is In re WMC Mortgage LLC, U.S. Bankruptcy Court, District of Delaware, No. 19-bk-10879. ISTANBUL (Reuters) – Turkey’s high election board has rejected part of an effort by President Tayyip Erdogan’s ruling party to have a re-run of elections in Istanbul, dismissing an appeal regarding voters who were dismissed by decrees from government jobs after an attempted coup in 2016, state news agency Anadolu said. In a petition submitted to cancel and re-run the city elections that it lost three weeks ago, Erdogan’s AK Party cited thousands of ballots cast by people it said were ineligible to vote due to previous government decrees. Based on initial results and a series of recounts, the main opposition Republican People’s Party (CHP) won the mayoralty in Istanbul, Turkey’s largest city, with a margin of some 13,000 votes. 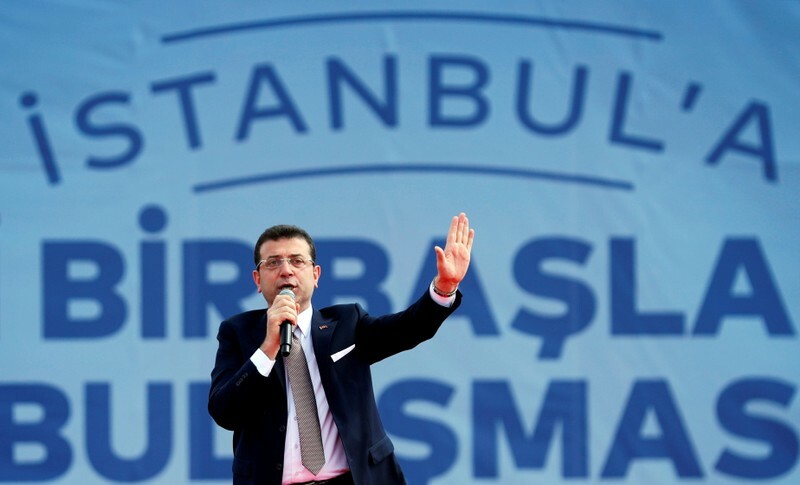 The new CHP mayor, Ekrem Imamoglu, took office on Wednesday, despite a formal request submitted a day earlier by the AK Party (AKP) to annul and repeat the mayoral elections over what it said were irregularities. The high election board, the YSK, has not yet ruled on the appeal to annul and rerun the elections due to voting irregularities including faulty entering of voting data, a wider issue that has been described by AK Party as organized fraud. The YSK also ruled to investigate the status of 41,132 voters, including people who according to the AK Party were dead, ineligible or voted twice, and to look into some ballot box council attendants. Bob Woodward, the reporter who broke open the Watergate scandal, has called for the FBI and CIA to be investigated regarding the agencies’ handling of the debunked dossier that formed the basis of the Mueller investigation of the Trump campaign. During an interview with Fox News’s Chris Wallace, Woodward declared that the dossier authored by former British intelligence agent Christopher Steele “has got a lot of garbage in it”. “I think it was the CIA pushing this. Real intelligence experts looked at this and said no, this is not intelligence, this is garbage and they took it out,” Woodward added. Last week, President Trump slammed the FBI, stating that the intelligence agency conspired against his presidential campaign. Wow! FBI made 11 payments to Fake Dossier’s discredited author, Trump hater Christopher Steele. @OANN @JudicialWatch The Witch Hunt has been a total fraud on your President and the American people! It was brought to you by Dirty Cops, Crooked Hillary and the DNC. He also took aim at “Crooked Hillary” noting that eleven payments were made to the former to British spy Steele by the FBI in 2016. Judicial Watch is suing for communication and payment records between the FBI, Steele, and his private firm, Orbis Business Intelligence. 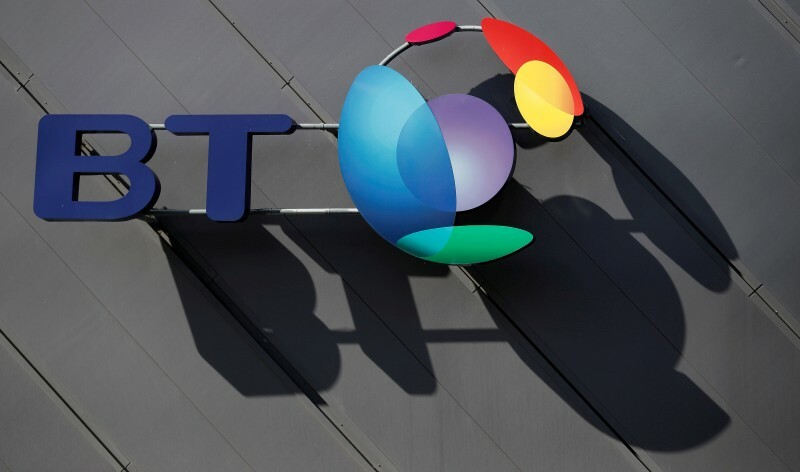 MILAN (Reuters) – A criminal investigation into accounting fraud inside British Telecom’s Italian unit has uncovered more evidence of what prosecutors say was the involvement of senior executives in artificially inflating the division’s financial performance. Emails seized by the police and reviewed by Reuters show for the first time why Italian prosecutors allege that top BT employees were at the heart of the problem, contrary to the company’s assertions that managers at head office knew nothing about the misconduct. “A series of emails between the top financial executives of BT Plc and managers of the (Italian) unit point to the existence of ‘insistent’ requests by the leadership of the parent company aimed at achieving ambitious economic targets, even using aggressive, anomalous and knowingly wrong accounting practices,” Italy’s financial police said in a 353-page report. The report has not been made public and its contents have not previously been reported. The report contains emails from Brian More O’Ferrall, currently finance director at BT Wholesale, the company’s business-to-business division, in which he asks colleagues in Italy to find ways of adjusting their accounts to boost profits. At the time, O’Ferrall was chief financial officer (CFO) for BT Europe, the European part of Global Services, one of the company’s biggest businesses. O’Ferrall did not respond to Reuters’ requests for comment. BT declined to make O’Ferrall or group Chief Executive Philip Jansen available for interview. “We cannot comment on ongoing legal proceedings,” spokesman Richard Farnsworth said. In the past, BT has blamed former executives in Italy for the bookkeeping irregularities, saying they had kept their bosses in London in the dark about what was going on. The scandal required the company to take a 530 million pound charge in early 2017. For a timeline click on. In a complaint filed in April 2017 with Milan prosecutors against the conduct of its former managers, BT said the company itself was a victim of any fraud found to have taken place. Italian prosecutors named three top BT executives among an expanded list of 23 suspects allegedly involved in the debacle, Reuters exclusively reported in February. O’Ferrall was not on that list. Prosecutors are not investigating O’Ferrall because he was not on BT Italy’s board and did not sign off on the division’s accounts in the four years, 2013-2016, under scrutiny, according to a source familiar with the probe. O’Ferrall was appointed chairman of BT Italy in February 2017, taking up the post after an internal investigation was launched into the unit’s bookkeeping. He stepped down from that role in November 2018. Prosecutors in Milan allege that three former senior BT executives, Luis Alvarez, Richard Cameron and Corrado Sciolla, set unrealistically high business targets and were complicit in false accounting at BT Italy. Alvarez and Cameron, were respectively the former chief executive and former chief financial officer of BT Global Services and Sciolla was the former head of continental Europe for BT. The three men, two of whom were based in London, left the company in 2017. Reuters tried to contact Alvarez and Cameron via social media and email but they did not respond to those requests for comment. Sciolla declined to comment. Allegations of fraudulent bookkeeping are part of a range of suspected wrongdoing at BT Italy. Italian prosecutors allege that a network of people at the unit exaggerated revenues, faked contract renewals and invoices and invented bogus supplier transactions in order to meet bonus targets and disguise the unit’s true financial performance. The company has publicly disclosed that it uncovered a complex set of improper sales, leasing transactions and factoring at the division. Factoring is a way in which firms sell future income to financiers for cash. Several BT shareholders have filed a class-action lawsuit in the United States alleging the group misled investors and failed to promptly disclose the financial irregularities. BT has moved to have the case dismissed. In their report, Italy’s financial police reference an email dated Aug. 5, 2016, from O’Ferrall in which he says that Cameron wanted operating profit to increase by 700,000 euros and suggests to Luca Sebastiani, then CFO at BT Italy, along with other colleagues across Europe, that they capitalize labor costs as a solution. “All, I have an urgent request from Richard to find another €700K,” O’Ferrall wrote to Sebastiani and his counterparts in Germany, Benelux, France, Spain, Hungary as well as Simon Whittle, then finance manager, reporting and consolidation, at Global Services Europe. P4 refers to the month of July. Reuters tried to reach Whittle via social media but he did not respond to requests for comment. The other finance officers O’Ferrall contacted did not respond to Reuters requests for comment. Sebastiani is among the 23 suspects in the case. In another email, dated April 8, 2016 and sent to Sebastiani’s predecessor Alessandro Clerici and Rosa Ronda Andres, CFO for BT Global Services in Spain, O’Ferrall says he has received a request “to find another €1 million of capitalization for 15/16. “Can either of you accommodate this? €500K each?” the e-mail says. Clerici and Andres did not comply with the request, according to a source familiar with the matter. Andres did not respond to Reuters’ requests for comment. Clerici declined to comment. He is among the 23 suspects in the case. Capitalizing costs is an accounting method that allows companies to amortize a cost related to an asset over time as opposed to book it as an expense in the income statement when the cost was incurred. The technique allows companies to smooth out expenses over time, and therefore boost profits. “You can’t capitalize labor costs to improve earnings ex post (after the event), just to boost your accounts,” said Gian Gaetano Bellavia, an accounting expert who has in the past worked as a consultant for the Milan prosecutors. He is not involved in the BT Italy investigation. Bellavia said it was common for top executives of a parent company to ask managers of subsidiaries to “always do more.” But he said some of the BT emails, which Reuters showed him a copy of, constituted “significant evidence” of wrongful accounting. Bellavia said another email, dated September 2016, in which Sebastiani says he has been told that Cameron would not accept an earnings estimate for the fiscal year 2016/17 below a certain amount, was less problematic because it could be interpreted as an aspiration and not a forecast communicated to investors. The police report says the alleged accounting irregularities could have had an impact on the price of BT shares and this may justify adding market manipulation to the list of alleged crimes being investigated. However, Milan prosecutors decided not to take this step on jurisdiction grounds, a source with direct knowledge of the probe said, since BT shares are listed in London and such allegations would have to be investigated by UK authorities. Britain’s Serious Fraud Office (SFO) which investigates and prosecutes complex and often multinational fraud and corruption, declined to comment on whether it was investigating BT. Britain’s accounting regulator, the Financial Reporting Council (FRC), said it was continuing to investigate PricewaterhouseCoopers’ (PwC) audits of BT from 2015 to 2017. BT dropped PwC as its auditor in 2017. A spokesman for the accounting firm said it would continue to cooperate fully with the FRC in its enquiries.